Bad karmas of the "king of good times", Vijay Mallya have finally caught up with him. He may have got conditional bail by a Westminster magistrate court as per the provisions of British law hours after his arrest in London, but it surely means that his time to freedom and living in luxurious surroundings is counted. His arrest in London where he had been residing since the time he fled from India on 2 March 2016 on a diplomatic passport should ring alarm bells to other absconders like Lalit Modi. All available information suggest that Mallya was arrested and produced in a court in London on varied persuasions made by the Narendra Modi government to the British government, through structured official channels and through track II negotiations. 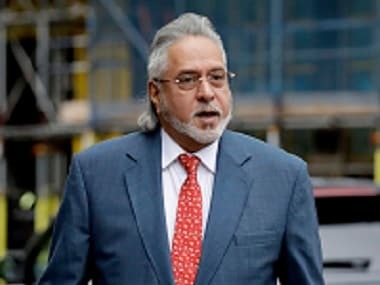 Though Mallya is entitled to a legal course and will have the option of going to appeal to higher courts against his arrest, under the given situation, as indicated by the British government's decision to take him in police custody, things are not going to be easy for him hereafter. There is a now a real strong possibility that he would be deported to India to face legal consequences. 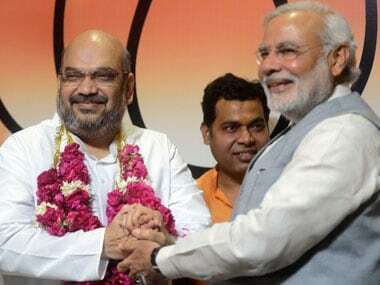 That way it is a big achievement for Modi and his team — ministerial as well as official. Mallya's arrest in London gives Modi government strong taking points at two levels — first, it was walking the talk on its so-called war against corruptions and the corrupt. Today morning, for instance, quite a few actions of the law enforcement agencies against corruption made front page headlines in newspapers: "CBI filing FIR against 13 in Narada case closes on Trinamool... FIR against Sasikala's nephew for bid to bribe EC officials... 40 lakh companies face deregistration for not filing I-T returns... ED notice for Karti Chidambaram for alleged FEMA violation." Second, it shows that BJP can pull punches at a political level. Mallya's arrest was a classic example that strong political will of the government of the day can make India chase a high flyer accused and make him face the law of the land. The party can contrast Mallya's case with Ottavio Quattrocchi, the prime accused Bofors bribery case. During his visit to Britain two months ago, finance minister Arun Jaitley had taken digs at the British government for allowing Mallya to live there without any valid passport. After Mallya had fled to London and showed no intentions to return to face civil and criminal proceedings, his passport was revoked. It is worth noting what Jaitley then said at a function organised by London School of Economics' South Asia Centre: "Many thought that when you take loan from the banks, the money need not be repaid and you can come to London and stay out here... And democracy is liberal enough to permit defaulters to stay here. That normal needs to be cracked... It is the first time that you have strong action being taken. In fact, it has never happened that defaulters are on the run. The fact that they are on the run and their properties are being attached, is a signal that India as a country is sending for the first time. Otherwise, we had learned to live with defaulters." 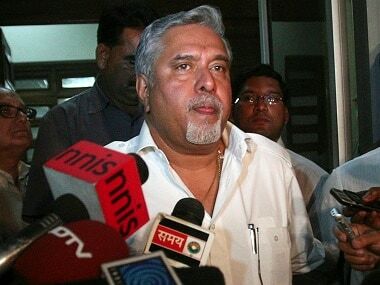 It is believed that Mallya's potential deportation figured in his talks with British authorities. The government would like Mallya to get deported rather than go through the lengthy process of extradition. His arrest by police in London indicates that the British government is in sync with the India government and is willing to consider its requests with certain promptness. The BJP has already started taking credit for events unfolding in London. Party MP Subramanian Swamy, minister of state in finance ministry Santosh Gangawar, minister of state in Prime Minister's Office Jitendra Singh, party spokesman Nalin Kohli to name a few, quickly got on to TV channels to boast about Modi's resolve against corruption and his government's machinery relentlessly following the cases, high profile or otherwise. This would give further ammunition to the BJP to counter Rahul Gandhi's "suit-boot ki sarkar" charge against Modi. 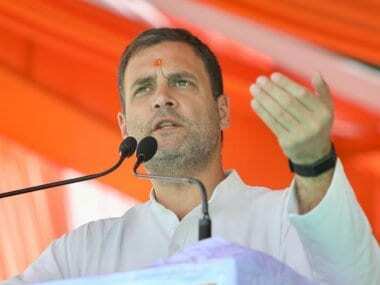 Even as loans given to Mallya, his subsequent default and restructuring of loans was done during the UPA regime, the Congress had been targeting the Modi government for allowing him to flee the country. BJP's strong rebuttals notwithstanding, it had become a slanging match between BJP and Congress, as also with some other opposition parties. The leakage of Mallya's internal mail with his senior company officials where he gave details about his meetings and "kind indulgence" of then prime minister Manmohan Singh and then finance minister P Chidambaram had caused severe embarrassment to the Congress party and its top leadership. The only defence Singh and Chidambaram could find was to hide behind a small technicality by terming their noting on the Mallya-Kingfisher bailout as "ordinary routine pieces of paper". Their defence was too thin to give them a shield from the evidence that has been introduced against the Congress leadership in the case. Mallya should now realise that his time is now counted.